I stood there staring at my landlord, baffled. 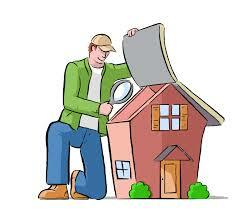 There are pros to renting a house and not being a homeowner; namely, when something breaks, it actually gets fixed! A downside, though, is when the owner wants to do an annual inspection and see how the house is doing. I know he’s not coming to judge my housekeeping abilities per se, but it’s hard to shake the feeling that my capabilities are being scrutinized. As many times as I tell myself he wants to make sure we didn’t knock down any walls or paint the kitchen without permission, I still can’t help but feel it’s the dreaded housekeeping police, the type every mom has nightmares about, that walk in unannounced when the house is an absolute war zone. But I was ready and I was pretty pleased last week when the landlord arrived; the floors were clean and the toys were put away. Even the sinks were empty of dishes! And the kids – they were all dressed. In matching clothes. No, not matching to each other, that stopped when baby #3 was born. But they were wearing pants and shirts that matched each other, respectively! And some even had socks on. They had all brushed their teeth the night before, their faces were clean. I was proud. All the more reason why I was standing there speechless when he started asking about the grout. At first, he gave a quick scan of the living room. All was in its proper place, we hadn’t taken down any walls, or build any new ones either. But it was during his quick look at the kitchen that he stopped to frown. My first thought was -there are no dishes in the sink! Not a trace of last night’s dinner! Why are you frowning?? And then came the grout question. You’ve got to be kidding! This house is still in one piece, the place is clean, the beds are made, kids are dressed, and you are worried about the grout?! But of course, I didn’t say that. He nodded slightly, not totally convinced. And I silently counted my blessings. The many blessings that consume my life so that things like tile grout isn’t something that made it to my stress list. To me, that was the sign of a full life. And later that evening, during bedtime, when I was doing a quick scan of each bedroom before checking off the kids’ charts; to see if clothes were in the hamper and things were put away, I caught sight of some little toy/thingie hiding in the corner of one of the rooms. I caught myself as I was about to point it out to the kids. I thought of the grout. Of how I felt when all my hard work on maintaining this house, (ok, with the help of my housecleaner!) was unnoticed, and all that was mentioned was the measly kitchen grout that refused to stay its original color. The kids had cleaned their room. Their clothing was in the hamper. Their things were properly stowed. And one measly toy, cast aside, was forgotten and unnoticed…well I wouldn’t notice it either. I wanted to motivate them; and mentioning the one didn’t-do instead of the many did-dos would not help them want to do it all again tomorrow. And later that night, when all was quiet, I did a quick google search just to clear my conscience. And guess what. There is no long term solution for keeping grout clean! Unless you get on your hands and knees and scrub it each night. I’d rather keep it the color it is. As a constant reminder that my life is full of more important things. Sleep training ...the REAL method! Book Review - Is It Shabbos Yet?